Christmas! 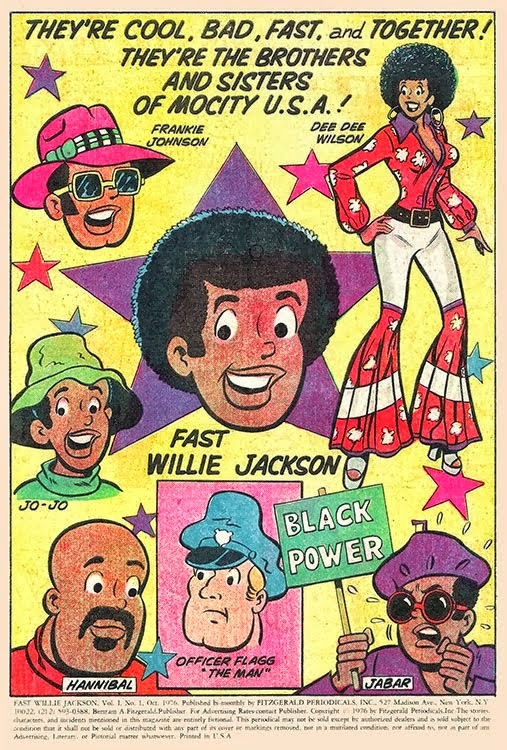 How can you go through your comic reading life not knowing something like Fast Willie Jackson existed in the '70's? 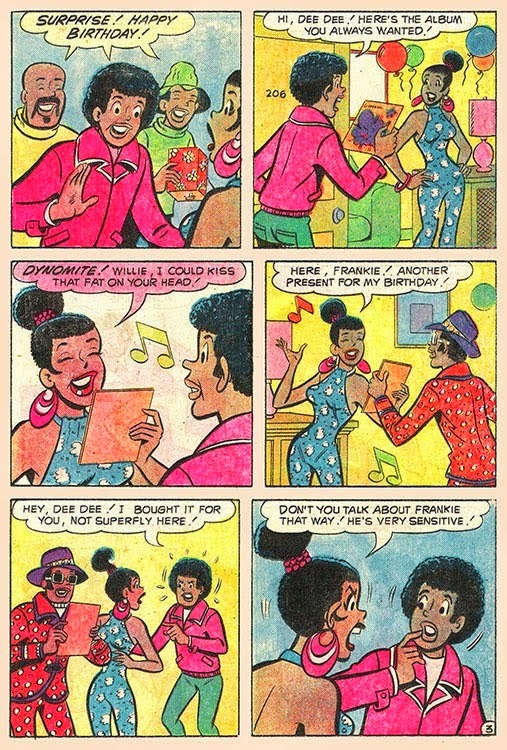 Like I don't have enough comics to talk about on this here blog, but I found this on various websites, and had to share it. 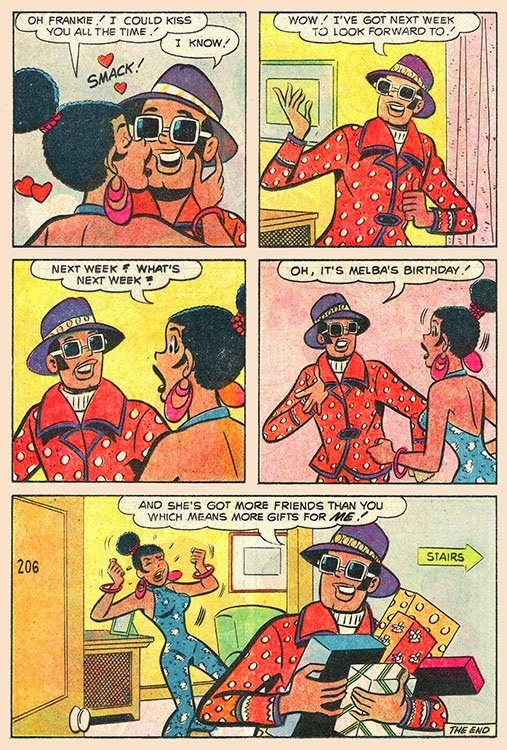 A blaxploitation Archie? Are you kidding me? You can't get any more Bronze Age. 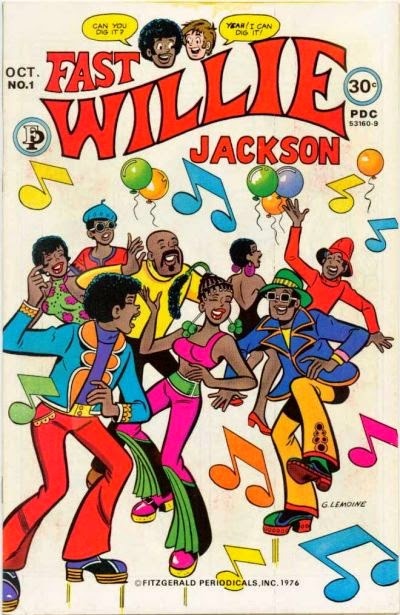 Fast Willie Jackson lasted just 7 groovetastic issues in 1977 and was published by the forgotten Fitzgerald Publications. 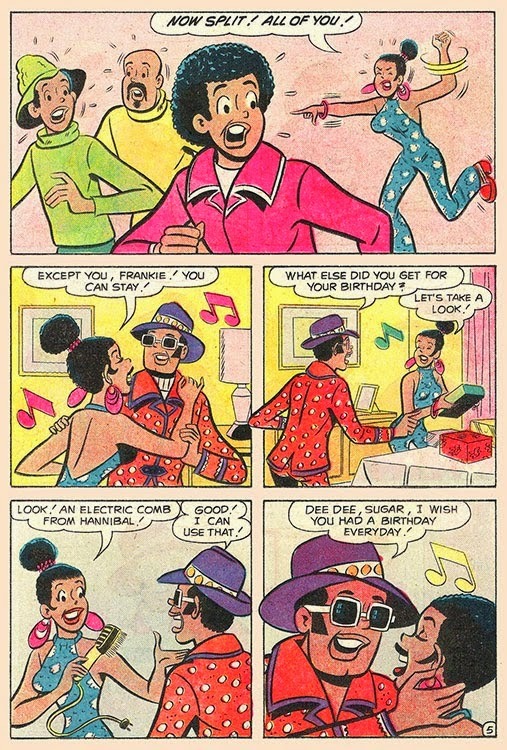 As you'll see from the cast picture above, not only did it star black Archie Willie, but a Huggy Bear-like pimp character, Howard Chaykin's Reuben Flagg as 'The Man', and even a black militant named Jabar. 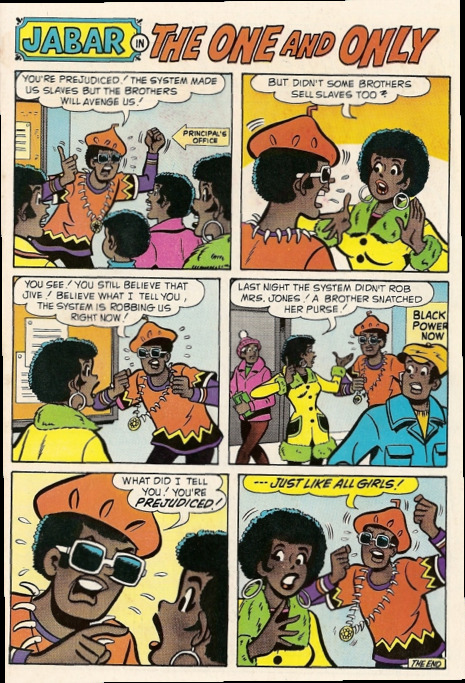 But is it a Baad comic, or just a bad one? Yeah, that is kinda bland, I guess. 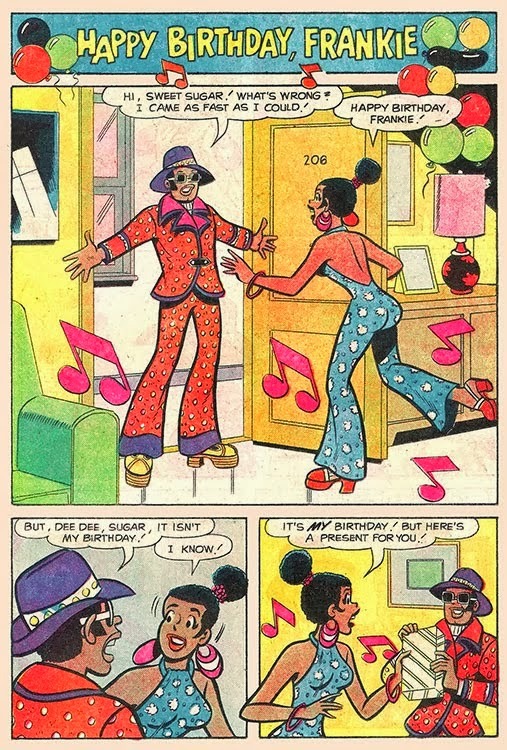 The scripts, by publisher Bertram Fitzgerald do apparently hit that unfunny groove more often than not, but the art by 'Gus Lemoine' ( allegedly Archie artist Henry Scarpelli ) is sweeter than a sweet sister. What?? 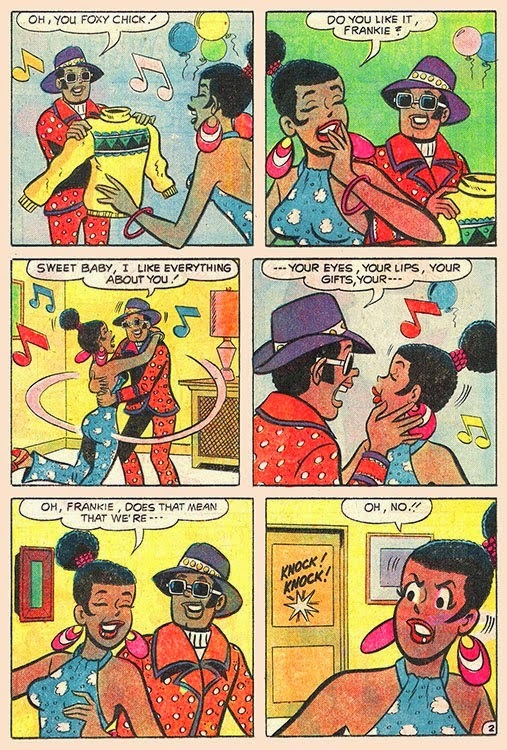 Way to shoehorn the history of slavery into a one page gag! 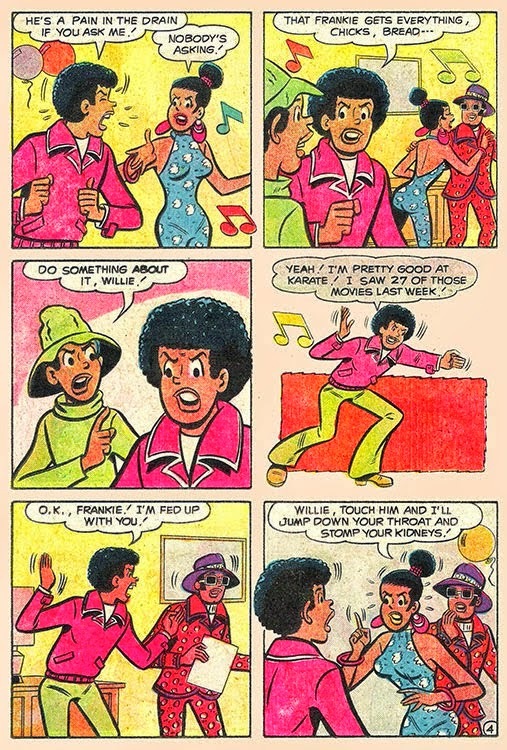 Anyway, I dunno about you, but I don't care if Fast Willie Jackson is a good comic or not. I'm just glad it existed, and I now want the full set, mama!